RISA’s initial request for a large town hall meeting was downgraded to a smaller meeting in which key stakeholders including President David Leebron and Vice President for Finance Kathy Collins could not attend. 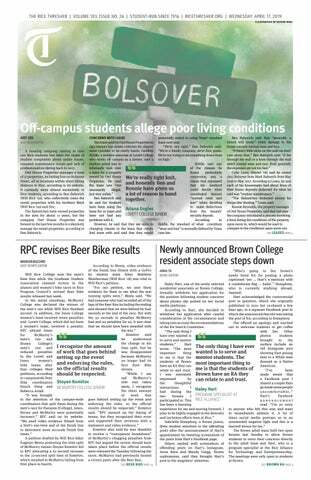 Furthermore, RISA students said Dean of Undergraduates Bridget Gorman and Vice President of Enrollment Yvonne Romero da Silva lacked familiarity with the specifics of financial aid, which prevented them from discussing details. Students also said that when they requested regular meetings to continue the conversation, members of the administration were non-committal. Furthermore, Romero da Silva and Gorman responded to the Thresher’s questions with statements that provided little insight into the content of the meeting. We understand that millions of dollars cannot be raised overnight, and so do the students in RISA. Explanations of why the administration cannot currently offer need-blind admission to all international students or offer aid to those who don’t initially apply for it are appreciated. But what’s more important than what the administration cannot currently do is what they can do. Romero da Silva has said Rice is undertaking efforts to increase aid for international students as part of the fundraising campaign that will also support The Rice Investment. Rice has set a concrete goal for increasing aid to international students, though it has not been widely publicized — according to the goals laid out in Rice’s Vision for the Second Century, Second Decade, the university hopes to provide international students with $4 million in aid per year. We worry that because this commitment has received little coverage outside of the Thresher, it will be easily forgotten. To demonstrate Rice’s commitment to international students, we ask that the administration publicly report its progress towards that goal at regular intervals. That way, the Rice community can hold the administration accountable for supporting 13 percent of the undergraduate student body rather than dismissing them.